Side streets kept their packed snow cover for days in the freezing weather. 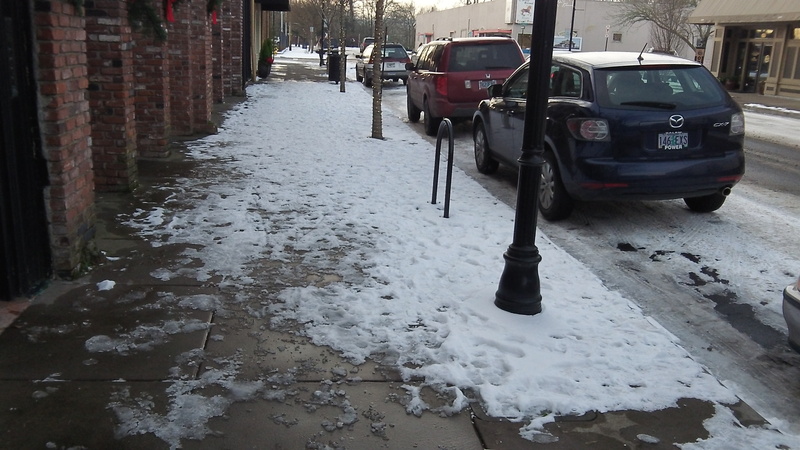 Sidewalk clearing was not evident everywhere. So what — besides letting the water run to prevent the pipes from freezing up — could we do better the next time we get hit by one of these snowstorms followed by a blast of near-arctic freeze? What could mid-valley residents and our communities do in order to have any easier time? Let’s start with traffic. On the first storm day last week, police agencies received scores of calls about minor collisions. Some of us learned to drive in snowy parts of the world, but many of us didn’t and don’t know how. So the first thing is: Next time this kind of weather is forecast, lay in some supplies and stay home and off the roads until things have cleared up. To that end, cities and counties might see what they can do to clear the roads faster, and more of them. It snowed heavily on Friday. By the following Tuesday afternoon, a blanket of packed snow still covered most side streets and was turning to slush on the arterials, where the overnight freeze would turn it into ice. 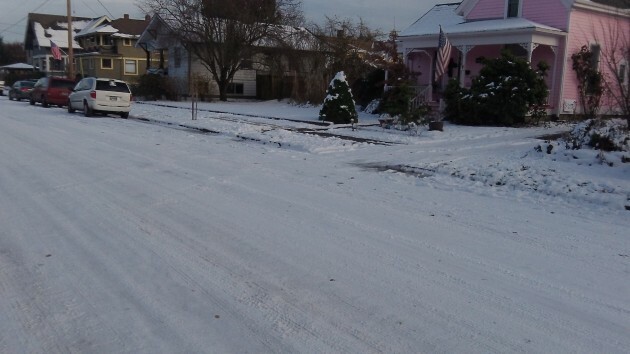 The city of Albany has no snow-removal equipment. It showed on city streets. What about sidewalks? Property owners are supposed to clear them of snow. This did not happen in many cases. Most people have no snow shovels. But a regular shovel will work. And if you use a broom — or a leaf blower, as one Albany resident reported on Facebook — to sweep the fresh snow to the side while you still can, the need to shovel is much less.